Ban compliant models also are not supplied with 30 round magazines. They will have a 10 or 20 round magazine depending on the state they are intended for. I have had rifles come back to me where it is stated in the notes “magazine catch does not work” and they are actually California models. I think sometimes California models accidentally get ordered through distributors for states other than California and that’s where this confusion comes in. With each edition of our newsletter, I continue to hear from many of our customers and am enjoying hearing about your experiences, your constructive feedback and good humor (thanks, Ed and Randy B). We appreciate you letting us share it with our readers. Without you, our customers, we would not be where we are today. Thank you for taking the time to read the newsletter each month and for writing in – I’ve got a lot of you in this edition, and look forward to continuing to hear from you. Just got the chance yesterday to try out my new SRC… dealer was out of Magpul sights when I bought it and had to order. Anyway… my son and I put 200 rounds through it yesterday. Great gun… glad I chose this one. Very accurate… didn’t have to adjust the sights at all on an indoor range. I do need to adjust the rifleman’s (me) ability. Lots of practice coming up. Also used both 5.56 and .223 ammo… no problems at all. After spending several months together with my WW AR15 we got married last weekend. I love it. Will you make me a 1911 handgun? Please!!! I really like how you guys send out newsletters to your customers. I bought my WW SRC about a month ago and I’m very happy with my purchase and the quality of the firearm. With the newsletter I like how you had a Q&A in the first newsletter and think it’s a good thing to keep going. I bought a VEX a few months ago. The hand guard wasn’t aligned correctly so I called (a real person answered the phone) and spoke with Cheryl. She apologized and sent me a shipping label and instructions. I sent it and received outstanding and personal service from Eric Winter. I am keeping this story a whole lot shorter than it is but please know that I received such great service from them both that I bought my wife an SRC a month after the service I received from them. I have actually emailed Eric on several occasions with other questions and he responded right back. I have told this story to my family and several of my friends. My son bought a VEX and one of my friends bought a MPC. He had planned to buy different brand rifle. Thanks from some loyal new friends. Want to talk about customer service? Normally that brings negative connotations from most these days. I try to tell customer service specialists when they’re doing a good job because it might be a rare occurrence. Well, I am going to tell you that and more. Recently I purchased a CDI. The first day I was able to get to the range it was raining cats and dogs. No worries, right? Well…. I had jams, misfires, and was lucky to get off 3 shots in a row. I was frustrated to say the least. When I got home I was inspecting the weapon to assure there was nothing obvious causing all this. I noticed some friction evidence on the mag. I contacted WW and within what seemed like minutes Erik was in touch with me. Within an hour I was in touch with Cheryl and within 24 hours I was holding a new mag that had been test fired. I made it back to the range again with the new mag, new ammo, a new rainstorm and let loose enough rounds downrange to let me know that the weapon is functioning perfectly. I was also impressed with the groupings with open sights. Great weapon, great customer service and a great company for sure. Windham Weaponry has earned my trust and loyalty. Windham Weaponry is such a Great Company. I was trying to put a Single Point Sling on my AR15 when I ruined the Take down detent spring. I mentioned what I did in a review and I told Windham Weaponry that I could not find the part on their website. They offered to send me the part that I needed free of charge. I could not believe the company offered to do that for me. That is what I call Customer Service. I will be visiting their website more often. Not only do they have the best AR15 made, they have wonderful and pleasant people working for them. You cannot beat them. This company deserves to have a 10 star rating. 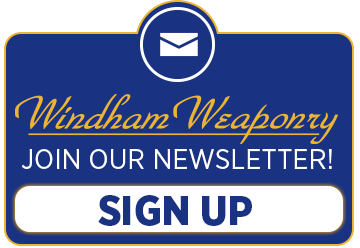 Thank you Windham Weaponry. Through our partnership with Patriot Ordnance, Windham Weaponry can now offer their high quality ambidextrous safety. These black phosphate finished steel parts are machined to close tolerances for crisp operation of the safety mechanism from either side of the receiver. An easy installation for any AR15 or M16 that will enhance the safe handling of your rifle. Made in U.S.A.
September has proven to be a great month for the LE division here at Windham Weaponry. 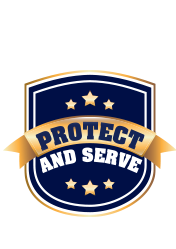 It’s quite clear that the Windham Weaponry reputation for quality products, great customer service and prompt delivery of our products is spreading in the Law Enforcement community. Part of getting the word out is taking our show on the road and the month of September is no exception. I had the opportunity to travel to Factoryville, Pennsylvania for a Law Enforcement Demo Day put on by Jerry’s Sport Center. To say it was a success would be an understatement. In attendance were over 200 Law Enforcement officers from the surrounding area. It was a great opportunity for vendors to show off their products and to allow officers the chance to not just look at the firearms, but to shoot them as well. Windham Weaponry teamed up with Pestilli & Associates to show off some of the WW line of ARs. The officers were able to hear the Windham Weaponry story and they were able to put some lead down range, testing the SRC, MPC, CDI and one of our newest additions to the LE line, the 11.5″ SBR. Some of the rifles also featured EoTech optics, which just made the range time that much more fun. They went through over 1,500 rounds without one malfunction of any kind. The day was a huge success for Windham Weaponry and Jerry’s Sport Center. With a quick turnaround, I was back to Maine for the National Troopers Coalition Picnic being held at Fort Williams in Cape Elizabeth, Maine. Everything about the event was just perfect. From the location, the food, the weather and the number of Troopers that attended the event. There were over 2,000 Troopers from around the country in attendance and a good time was had by all. It was just a great opportunity to spread the WW word to Troopers from Maine to California, as well as to allow them to handle the rifles. The comments were all positive, great product, great fit and finish and great prices. know a great product when the see it. Erik is known throughout the industry as an extremely knowledgeable and skilled gunsmith, who turns around customer repairs and upgrades quickly. After 13 years with Bushmaster, we were lucky enough to have him continue his work with Windham Weaponry. His ability to repair any brand of AR, high level of customer care and easy rapport is part of what makes him sought out by many to repair and upgrade their ARs. Besides being a valuable member of the WW team, Erik is also a talented musician and songwriter, performing with his own band, as well as with many local Maine based bands on their albums and even appearing in videos. He even has gotten in front of the camera for WW, playing the part of the perp on our LE page with his vintage 1987 Cadillac. He writes songs on the piano and has a passion for old pianos in general. He also collects and studies old handguns. He lives with this wife, Bethany, and their two cats Murray and Schubert Fluffenstien.